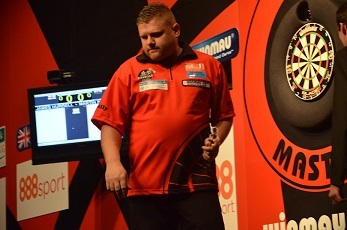 James Hurrell plays since 2010 in the BDO and since 2014 the complete circuit. In 2015 he won his first tournament - the Finnish Classic - and reached the later rounds of the German Open, the Swiss Open and the World Masters. He was nominated for the English National Team and qualified for the preliminary round of the BDO World Championship 2016 where lost his debut against American Larry Butler. In 2016 he played quite a successfull year with several good placings and a win in the Police Open. By this he qualified for the BDO World Championship 2017.